Hello everyone! I’m Alexandre Pernot Lopes, co-founder at Trebuchet, a studio of seven awesome people based in Montréal, Canada. We are proud to announce the upcoming release of our first game Prison Boss VR to PlayStation VR tomorrow, updated with the brand new Boss Mode. For those who don’t know Prison Boss, it’s a game about crafting contraband in jail as fast as you can without getting caught by the patrolling guards. The game is about thinking and planning your nights of crafting to be able to answer to the ever demanding black market. In this very cartoony prison environment, you’ll be rolling cigarettes, fermenting alcohol but also preparing cookies and crafting “creepy bears” out of metal bits and some pieces of fabric. 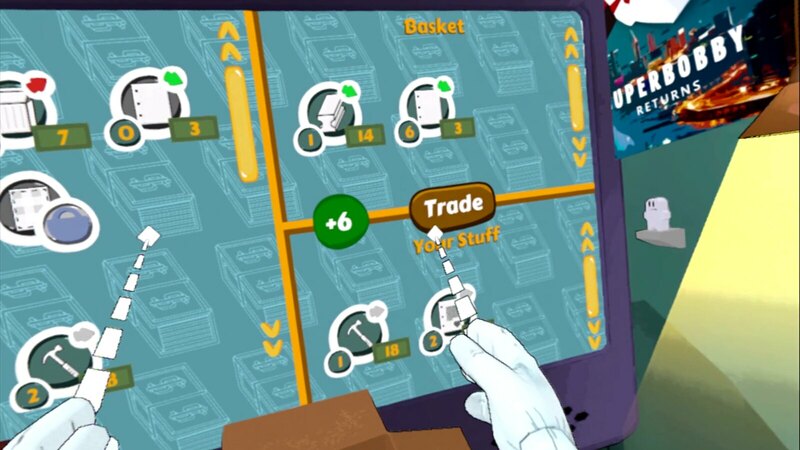 The whole game takes place in your jail cell, which quickly becomes a full-on contraband workshop as you buy more furniture to store your materials and your stacks of money (a good contrabandist is a loaded contrabandist). 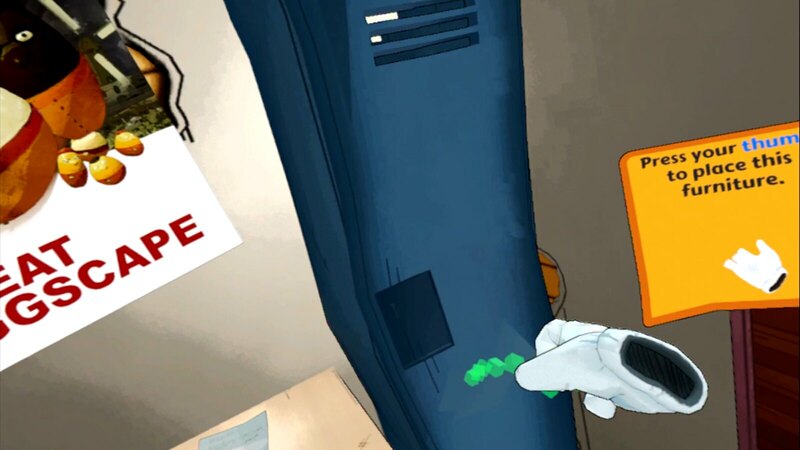 The original idea of the game came from trying to design a VR experience using no artificial movement at all so that the player is more comfortable with his surroundings. We went on thinking: “In what context does someone spend a lot of time at the same place without moving much? -In prison!” We also took inspiration from VR games that we enjoyed like Job Simulator and we merged it with our love for management and tycoon-like games. 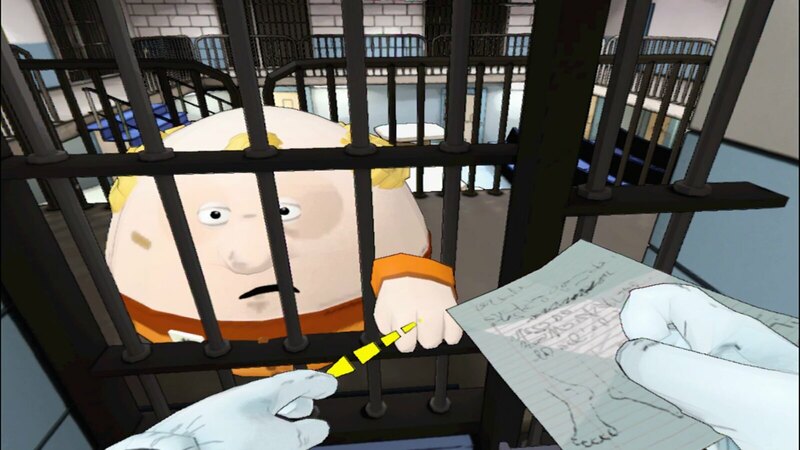 Mix all of these things up, add Humpty-Dumpty-esque characters, and you’ve got yourself Prison Boss VR! We thought each crafting recipe as a distinct challenge. When planning your crafting night, you have to consider the varying cost of the materials needed for your items while guessing how many you’ll be able to complete with your skills. There are 11 different items, each made from a sequence of actions you will need to memorize and execute as fast as you can. For example, the cigarette goes like this: Step 1, Tear a piece of paper. Step 2, pour tobacco on the paper. Pause! Did you just hear a guard coming? No. Continue! Step 3, roll the cigarette by mashing the Move button. Step 4, lick the paper by bringing the controller to your face. Ta-da! You’ve made a cigarette! Now hide it if you want to get rich. Originally, the game was structured in four different prisons, each offering its own set of crafting recipes for you to master. The progression through the prisons serves as an introduction to all of the 11 crafting recipes. We’ve been thinking for a long time about adding a sandbox mode that would allow players to toy with all the recipes in the same level. Once you feel like you mastered the game, the Boss Mode awaits you. The goal is to make as much profit as possible while not being caught by the guards. Try to get the highest score possible with a “build” that you refine by carefully choosing which items you unlock in which order. One major improvement we’ve developed for PS VR is the addition of comfort features. The game now adapts to your height and allows you to do swift rotations to face the four walls of your cell. We also added distance grabbing, but, more importantly, DISTANCE THROW! (shout as you read for maximum effect) Now objects are projected away from you relative to the spot you are aiming towards with your Move controllers. Releasing the trigger with an object in hand will now propel it with the right amount of force to reach the target you’re aiming at (cool stuff). The game started as a student project we did while finishing our Masters degree in game design. After we finished school, we moved to our teacher’s office to work day and night for a whole summer in order to make Prison Boss become a full-fledged VR experience. Since then, we worked really hard on the game, learning a lot on the road. We have reviewed the core aspects of the game to bring it on PS VR. It means a whole lot for us to release on PlayStation, so we hope you’ll enjoy Prison Boss VR, out tomorrow!